In 2015, there were more than 30 million Americans, about 9.4% of the population, diagnosed with diabetes. Individuals with diabetes deal with its consequences on a day-to-day basis and must find ways to manage their lifestyle to successfully control the disease. For Joseph Thompson, and millions of others, this can be an incredibly challenging task. Mr. Thompson is a retired chef living in New York, who was diagnosed with diabetes after reaching a weight of 335 pounds. Mr. Thompson attributes much of the weight gain to constantly being surrounded by food while at work, making it difficult stay in shape and maintain a healthy lifestyle. Getting the support needed to control the disease can be incredibly challenging. Doctors and primary care providers are stretched thin, unable to offer the necessary time and guidance to steer patients through the changes required to keep the disease in check. Patients struggle to initiate and adhere to medication and treatment plans due to many factors, which include confusion about the impact of diabetes on their health, poor understanding of how lifestyle choices impact blood sugar control, fear of self-injecting their insulin, the need to monitor blood glucose levels, financial concerns, and side effects. Other common challenges are diabetes health literacy (e.g. interpreting blood glucose levels), the importance of nutrition and physical activity, and dealing with the emotional burden of the disease. Given these challenges, managing diabetes should, and often does take a team approach, in which doctors, health providers, family, and friends together, support the person to make the necessary changes to help the patient control and self-manage the condition. Cecelia Health (formerly Fit4D) is a diabetes coaching service that leverages communications technology to deliver personalized, one-on-one clinical care at scale. Through optimizing human-based touchpoints and technology, the company offers effective and affordable patient programs. Cecelia Health knows how to improve the health of people with diabetes; it’s the company’s passion and purpose for being. Patients are partnered with a personal Cecelia coach throughout the program. All coaches are Certified Diabetes Educators (CDEs), expert diabetes clinicians who are specialized and certified to teach people how to manage their condition. Cecelia Health CDEs quickly establish trust over the phone and use motivational interviewing techniques to guide patients past barriers to achieve successful adherence and self-management. Nicole Anziani, a Cecelia coach, reached out to Mr. Thompson after his diagnosis to help give him support and guidance to begin effectively handling his diabetes. Coaches build relationships via multiple communication methods – phone calls, texts, emails, and more – which enable clinicians to educate patients on drug therapies, motivate better lifestyle choices, and provide the essential problem solving and emotional support required for people living with chronic conditions. As Ms. Anziani describes the problem, “most patients don’t know what they’re supposed to be looking for—what they’re fasting blood sugar level is supposed to be… and if they don’t know what that’s supposed to be, they are less motivated to check themselves. Coaches schedule meetings at the patient’s convenience. By listening to patient concerns, Coaches build the strong relationships that are necessary for coaching patients through major life-changes and challenges. Cecelia’s solution delivers excellent results. As Mr. Thomson noted about his coach, “She was very determined, she gave me things to do, and things to follow, and it worked.” So far Thompson has lost over 30 pounds, his blood sugar is under control, and he’s walking more and is cooking healthier meals, also trying to change his family cooking habits. “That’s what was so great about it. I had the tools. If you have the tools, you know what you need to do”, said Mr. Thompson. Since the company’s inception, more than 65,000 patients have completed Cecelia Health’s program to date. The company’s success is tied to its strategy in balancing technology with human touch-points that optimize successful outcomes for program participants. Cecelia creates lasting behavior change by empowering patients to self-manage. 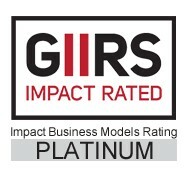 Also noteworthy, Cecelia Health earned a Platinum Overall Impact Business Model rating (the highest rating available) in 2017 by GIIRS, the Global Impact Investing Rating System. GIIRS was developed by B Lab, a non-profit dedicated to supporting for-profit companies to use the power of business to solve social and environmental problems. A GIIRS rating analyzes a company’s social impact performance against peers. Cecelia met the criteria for a Platinum impact rating through its commitment to empowering the lives of the greater than 30 million people in the U.S. who have been diagnosed with diabetes. Cecelia Health plays a fundamental role in SJF’s healthcare strategy, which seeks to progress growth-stage companies working to deploy scalable solutions while improving health outcomes for individuals and society as a whole.